Artist Manss Aval recently exhibited his artwork at the Bushwick Open International Chapter 2016. 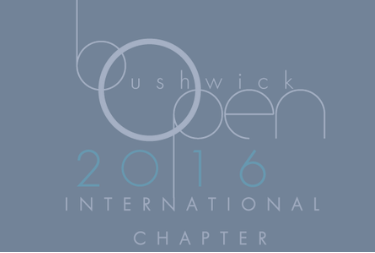 The Bushwick Open International is a juried group show of established and emerging national and international 2D and 3D visual artists. The show ran from September 30th to October 15th coinciding with numerous arts and culture events in Bushwick, i.e. Bushwick Film Festival, Crossing Brooklyn @ Brooklyn Museum, Bushwick Open Studios (this year celebrating their 10th anniversary edition) – just to name a few. Bushwick Open International Chapter art show series is located in the heart of Bushwick’s art studio community – the 7th coolest neighborhood in the world according to Vogue Magazine – in a traditional gallery setting featuring state of the art lighting and white finished walls. Bushwick Open was created by two practicing artists and gallery owners with a clear understanding of the developing contemporary art market committed to connecting individual artists with the right clients to help their artistic progress. Bushwick Open has several initiatives focused on targeting serious collectors. Bushwick Open International Chapter will host numerous scheduled events dedicated specifically to establishing connections between artists and New York’s rich gallerist and collector community. These include a sponsored opening, auctions, hosted dinner events and talks, and collaborations with local performing and music establishments and galleries in the Tri-State area.